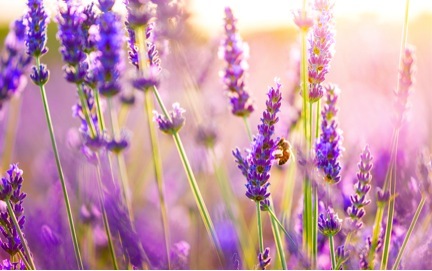 On this week’s Terpene Thursday, we want to talk a little bit about lovely Linalool! This terpene isn’t only found in your cannabis, but it can also be found in a myriad of flowers and spices like lavender and coriander. It’s a citrus oil very similar to limonene. Ever get that complex floral aroma coming from your cannabis? That’s most likely from the linalool terpene! Commonly used as a scent, it is found in 60-80% of perfumed hygiene products and cleaning agents such as soaps, shampoos, lotions, and detergents. It is found in many flowers and spices like lavender, coriander, and basil and generally has a floral smell with a hint of spiciness. This complex terp has many effects, but it is most commonly associated with stress relief. This explains why people find the smell of lavender so soothing and why it’s used a lot for aromatherapy. You can find this terpene in many of our strains including our Amnesia Haze and Blue Satellite!